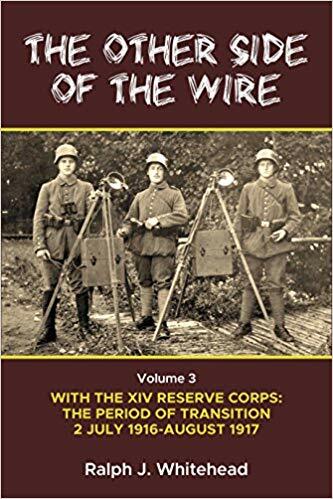 Volume 3 carries the story of the XIV Reserve Corps through the momentous Battle of the Somme and into 1917, a period of transition for the German Army. The old tactics and strategy of trench warfare would undergo great changes as the German Army was transformed from a military force rooted in the 19th Century into a modern 20th Century fighting force with new strategies and tactics. The concept of a continuous trench system was being transformed into a defense in depth as a direct result of a shortage of men in the German Army. The reader will experience the withdrawal to the Siegfried Stellung (Hindenburg Line) and the subsequent fighting by Arras and trench warfare by Verdun and in the Champagne. What was not known to the rank and file during this time were the difficulties facing the German High Command in regard to manpower problems, and the huge consumption of critical resources resulting from fighting on numerous battle fronts. It was a time when Germany began to realize that something needed to change otherwise the war could be lost. It was a time for bold ideas and new strategies, tactics and weapons that could sustain the German Army as the war entered its third year. 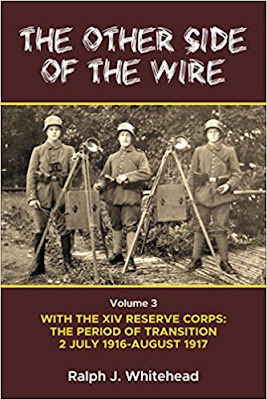 The reader will follow the men of the XIV Reserve Corps in their own words as they experienced the transformation of the German Army through Feldpost letters and previously unseen first-hand accounts. They will also see how the Allies changed the way they fought the war as new weapons and tactics appeared on the battlefield. It would be a volatile period during the war that became the basis for the final act of the war, the preparation and execution of the German offensives of 1918 and the eventual end of the war that will be covered in the fourth and final volume of this series.